LAST CHANCE - Get these prices while you can! 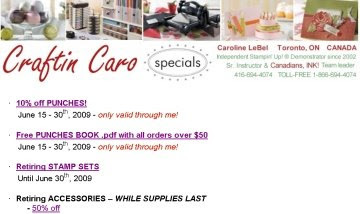 Today is the FINAL day to order from the current 2009 Spring-Summer catalogue and the Occasions catalogue, and there are retiring items to snag while you can. Trust me when I say you WANT to buy many of your wish-list items now, since prices will be going up beginning July 1. 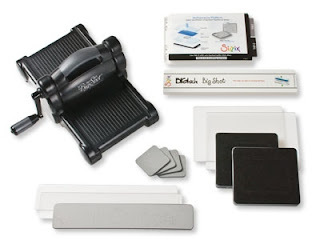 Today is also the FINAL day to get the Sizzix Special Edition Big Shot Starter Kit as it will not be in the upcoming catalogue. Remember, all orders over $200 get Hostess benefits as well! Way to go, Nicole! 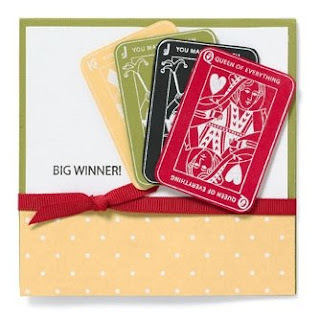 Congrats to you, and best of luck to all of you who are being entered for the June contest. 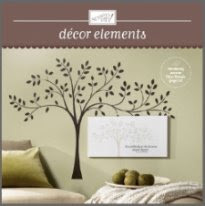 Only 2 days left for this catalogue! 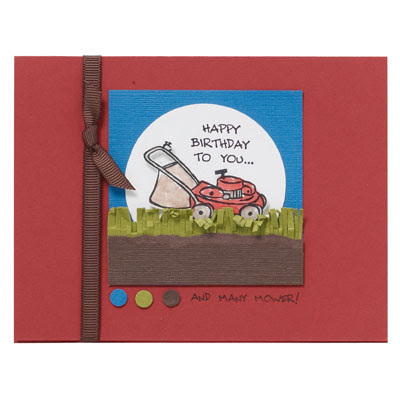 Always wondering what kind of birthday card to make for the men in your life? 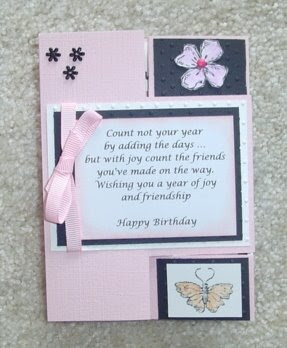 This card is perfect! And if you like this set, get it soon -- both the current Spring-Summer catalogue and Occasions Mini catalogue are only around until Tuesday, June 30th. 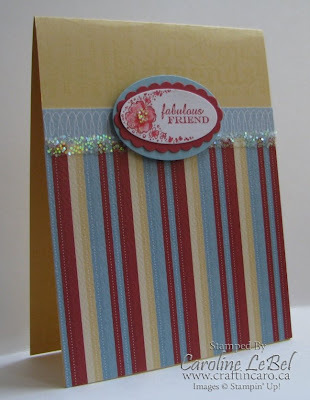 This lovely Occasions Mini Catalogue set will NOT be appearing in the new catalogue, so be sure to get it now before June is gone for good! School's out -- let the fun begin! I had a blast yesterday at CHEX's Channel 12 studio, filming my Lifestyles segment on wedding papercrafts. 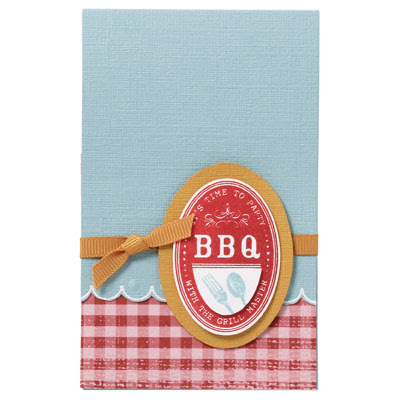 It's time for a summer barbeque with the grill master — you! Why not invite your friends and family over for a classic picnic with all the fixings. 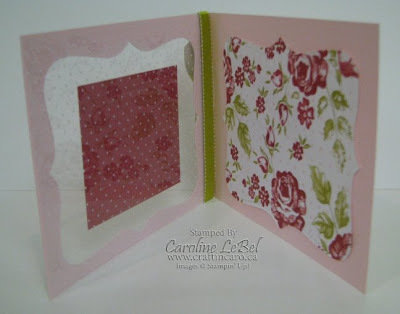 Who could resist such a lovely scalloped invitation? Don't forget my 10% off punches special & Punch book giveaway -- there's only a few days left for June to take advantage of this deal! A quick note to my "Canadians, INK!" 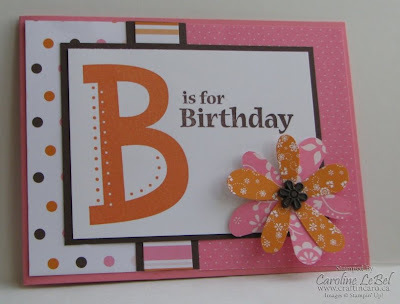 gals across the country... all the instructions for the Birthday Cards class (and all my other classes this month) are all posted on the Team Blog for you to enjoy. If you're not part of the team but WANT to be, you should purchase your Demonstrator Starter Kit NOW before it goes up in price on July 1 and save some moolah! :) You'll be all set to get your new goodies and at a fabulous discount to boot. And who wouldn't want to make some extra money, eh? I say go for it! Catch me on TV tomorrow + NEW CATALOGUES ARE HERE! 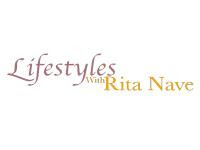 I'm very excited to be appearing on CHEX "Lifestyles" program tomorrow (Thursday June 25), with Rita Nave where I'll be sharing a variety of stamped wedding ideas. Why wedding ideas? Well, Canadian couples everywhere are busy planning their summer and fall weddings, and a proven way to make the most of a wedding budget involves getting creative and going the do-it-yourself route. 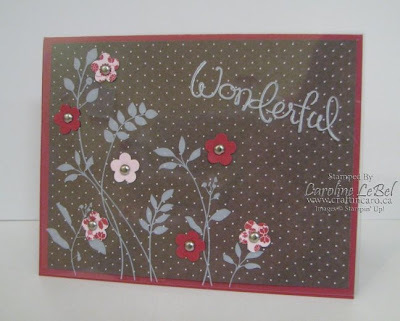 That's where I come in, with some stamping and paper-crafting fun! I'll be sure to take pictures of all the projects and post them here for you later in the week. In other VERY exciting news... the new CATALOGUES HAVE ARRIVED! I'll be here at the studio this week for those of you who would like to come and pick your catalogues up, plus I'll be doing several post office runs to begin mailing these puppies out. 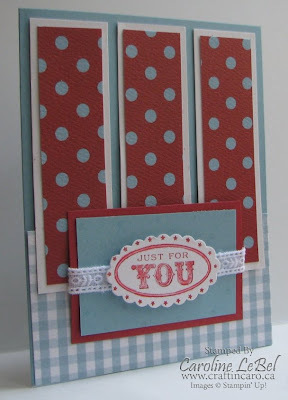 I'll be posting information on my special 2009 IN COLOUR BUNDLE, new Designer Paper Shares, Ribbon shares and more later this week, so be on the lookout! 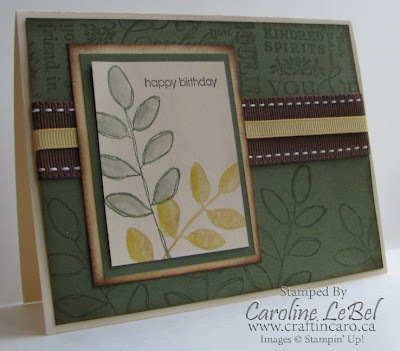 Birthday Cards class - 4 samples! 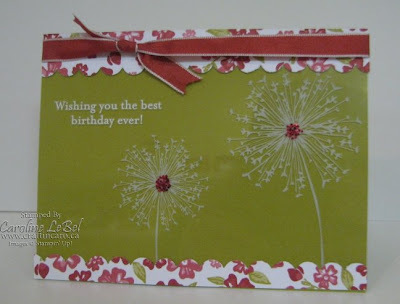 Here are 4 of the 5 cards we are making on Wednesday's Birthday Cards class. Please let me know if you would like to attend! Who rocks? My Serena rocks, that's who! So my gorgeous 11 year old Serena will be graduating tonight from her school -- she's finishing grade 6 and will be off to middle-school next year (taking the city bus on her own -- eek!). Do you think this would be the perfect card for her? She has at least 3 shirts with the crazy trendy skulls on it, so I'm sure she'd love something like this. 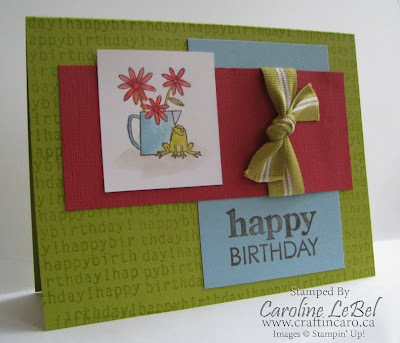 I'll be back tomorrow with the cards for Wednesday's BIRTHDAY cards class -- be sure to RSVP for either the 1pm or 7pm spots if you are interested! How to keep track of all the specials?!?!? Isn't it just TERRIBLE that there are so many great specials and promotions going on, and all of them at once? How's a girl to keep track of it all??? Craftin' Caro to the rescue! I've created a handy-dandy specials page for you to reference whenever you need it at www.canadiansink.ca/blogspecials.htm. You can bookmark it for easy access, or find it anytime you need it along the top border of my blog home page... just click on SPECIALS. Keeping all the specials together should make things easier for you, since you'll have easy access to quick-links to all the pertinent details, dates for when the promotions end, as well as info about my very own exclusive specials. 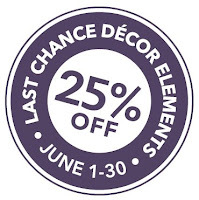 If you like Décor Elements, then be sure to stock up on these retiring ones that are on sale for 25% off! 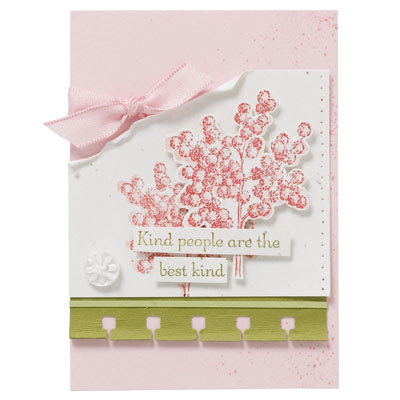 10% off PUNCHES & a Fabulous Punch Book! 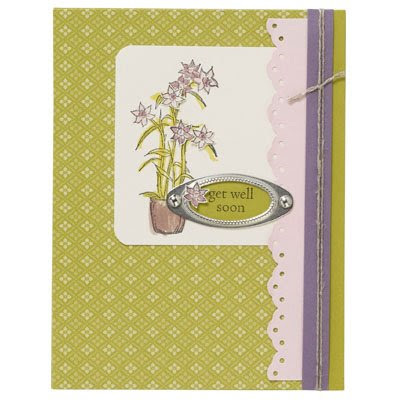 With only 2 weeks left to order from the current Spring/Summer 2009 Idea Book, you'll want to make sure you snag all those Last Chance stamp sets and accessories while you can. 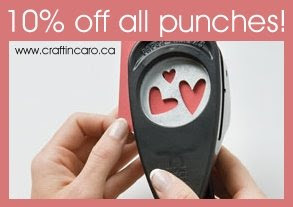 And because I love a good deal as much as the next gal, I'm also going to offer you 10% off ALL punches, but only until the end of June. Now, you need to trust me when I tell you that you want to order your punches NOW and not wait for when the new catty comes out in July. There will be lots of other things to get then (yummy new papers, stamps, colours and accessories) so be a smart cookie and grab your punches while they're on sale with me!! So, what can you do with all those new punches, you might ask? Let me show you! 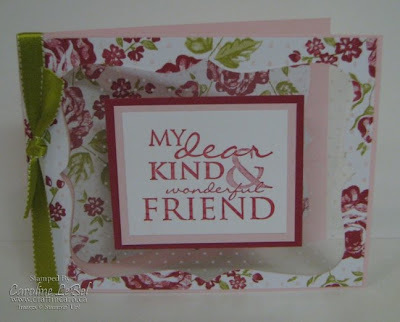 From today through to the end of June, I'm thrilled to be able to offer you Stamperdog.com’s amazing Master Punch book, FREE with any $50 order! It's a 1 MB PDF file, filled with tons of fabulous punch ideas and pictures of everything you need to re-create them. Monday is the FINAL DAY for Free Shipping on this catalogue! 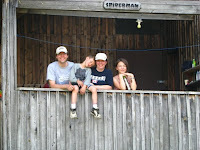 I'm back from a fabulous long weekend adventure with my family up at Camp Walden for their Family Weekend and it was just SO good to have a chance to get away together. I'm still finding the odd black fly bite but overall, I think I fared pretty well. Just a reminder that TODAY June 15th is the final date for my 2-week special FREE SHIPPING on your orders! Orders under $60 will ship to my studio for pick-up -- if it's $60+ you can have it sent to your address. Canadians only, please! 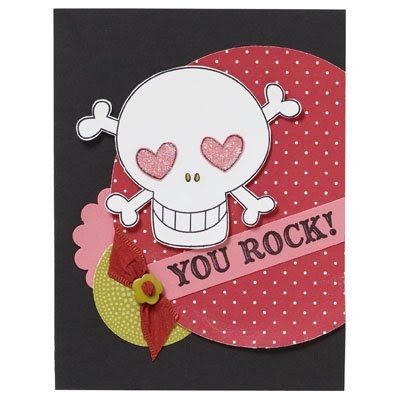 Also, a quick note that while I was gone, Stampin' Palooza's Saturday event completely SOLD OUT! I will now begin taking names for a waiting list, as well as you'll see later in September that I will offer a special 'Palooza TO-GO option. I hate disappointed people so I'll do my best to keep the good times rollin'! Here's a video that the camp put together of some of the highlights... it was a blast and now the kids are even MORE excited about going there together for 3 weeks this summer! Beware -- Donna's Risqué Tri-Shutter Card! 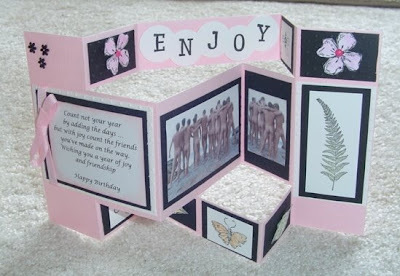 WARNING: If you're offended by naked beefcake bums, this card is NOT for you. 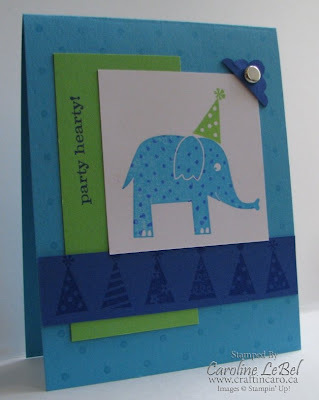 My friend Donna took the tri-Shutter card template that she learned at Stampers Club last week, and made her own take on it for a good friend's birthday card... see if you like it!! Can you believe it? I'm ahead of the game AGAIN.... I feel like it's a record for me! 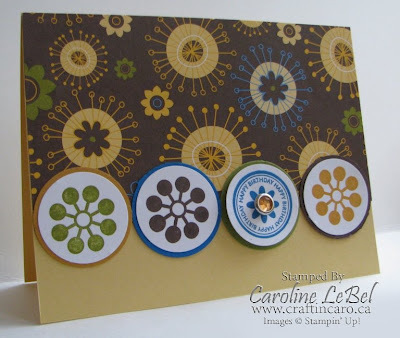 Here are the samples for next Friday's Oval Madness card class. 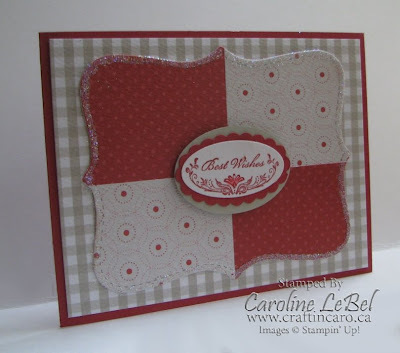 It was a great chance to create layered ovals using the Oval Alls stamp set, scalloped oval punch, the Dress Up ribbon Originals as well as the Sweet Slumber Specialty papers to make a cute set of matching cards. 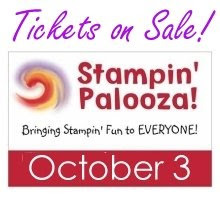 A quick update for all Stampin' Palooza Attendees! 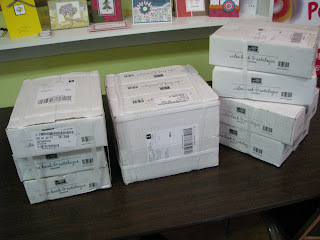 It's been a pretty exciting morning at the studio today -- I just received my complimentary copy of the new 2009/10 Stampin' Up! Idea Book & Catalogue that will be released in July! I don't think I'm giving anything away by saying it's FREAKING GORGEOUS and I'm going to go completely broke next month ... eek! Unfortunately I cannot share the details or image of this stamp set until the new catalogue is officially released, but Stampin' Up! did reassure me today that I can at least share the name of the set with you in the meanwhile. Can you believe it? 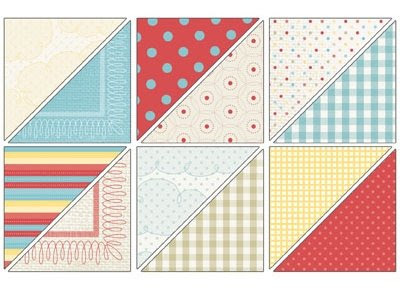 I'm actually AHEAD of time for a change, so here are the 4 cards we're making next week for the Bella Rose Window Sheets card class.